Mungo National Park Tours – Join Harry Nanya Tours for an unforgettable journey back in time discover Mungo National Park with a traditional custodian of these ancient lands with 40,000 years of human occupation. A family owned and operated tour boat company operating on the magnificent Menindee Lakes and Darling River at Menindee N.S.W. River Lady Tours operates the only tours on the Darling River and Menindee Lakes and is a purpose built vessel designed with a shallow draft to allow us to access the Lakes. 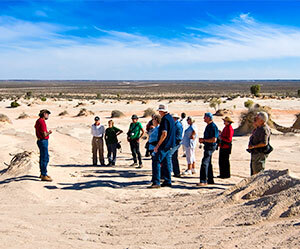 An extension of the Experience Broken Hill Package includes a visit to the White Cliffs Opal Fields and an 8 night stay with plenty of leisure time to explore Broken Hill at your own pace. 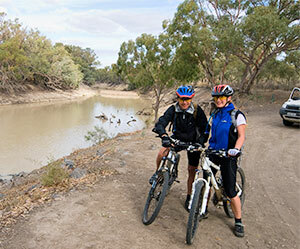 Darling River Run Sydney to Broken Hill Tours. 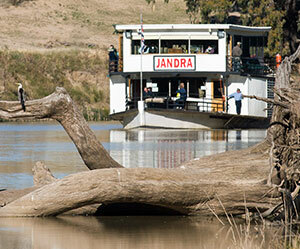 2, 3 or 4 day Darling River Run Sydney to Broken Hill Tours or reverse. It’s our big backyard, and a visit is a rewarding and memorable experience! 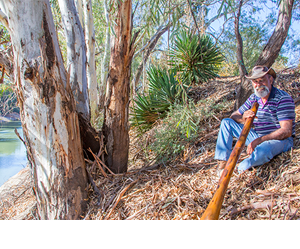 The ‘Great Outback Lap’ will take you on a journey of discovery of all things indigenous, mining, pastoral and natural heritage from Broken Hill to Cobar and so much in between!! 7 day Victoria & New South Wales Outback Tour. The Outback..the ancient part of Australia where the earth runs red and time seems to stand still.